In the summer of 1940 Britain stood alone as Nazi Germany was swiftly tightening its grip on Europe. Hitler's forces appeared to be invincible, having swept through Poland, Belgium, the Netherlands and France. Invasion seemed inevitable as the Fuhrer's eyes turned to Britain, isolated against the might of fascism. But Hitler reckoned without the indomitable will and spirit of the British people and their leader, Winston Churchill. 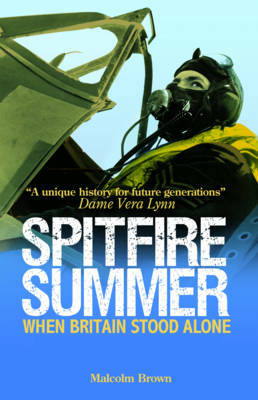 "Spitfire Summer" is the story of that extraordinary time: packed full of unique material and first-hand accounts from the archives of the Imperial War Museum, it tells of the men and women who won the Battle of Britain in that fateful summer, at home and in the air. This edition also features an audio CD with first-hand dramatic accounts of the summer of the Spitfire. "A unique history for future generations." Dame Vera Lynn"